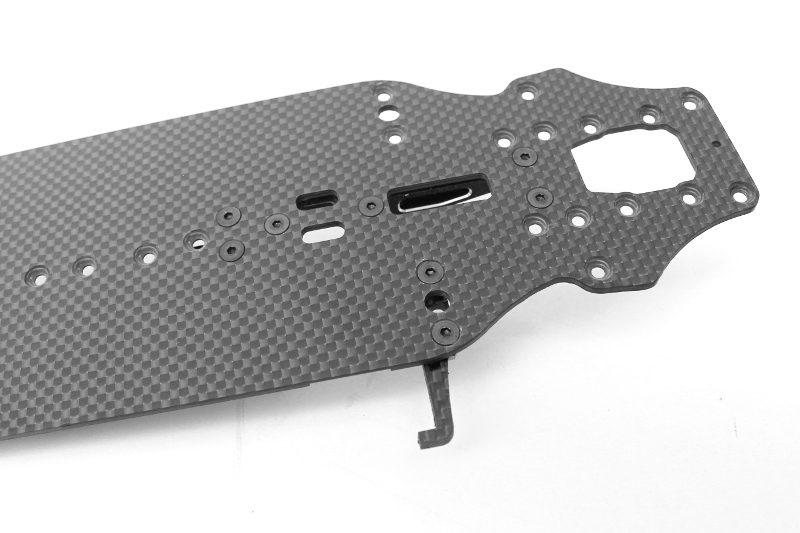 .1mm Quasi Isotropic Carbon Fiber chassis for your TC7.1 This chassis was designed to work with the RSD Pitch Control System for your TC7.1. It includes 2 additional motor mount holes to secure your motor mount in different ways and adjust the flex characteristic of the car in the rear end. 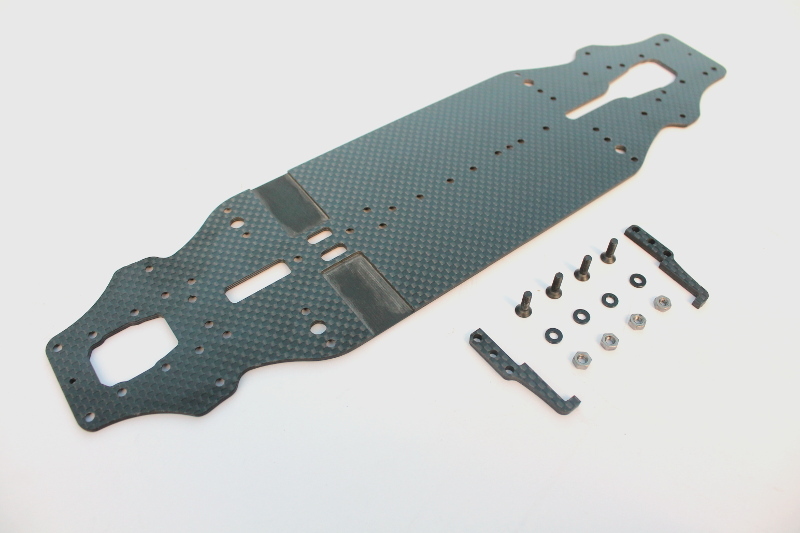 It also includes 2 countersink holes in order to mount the YOKOMO BD8 Active rear steering rods to the chassis which is a popular modification by TC7.1 drivers these days.